We will attempt to provide links to other web sites that we hope will be of interest to our members and other visitors to this site. Watchung Sail and Power Squadron does not endorse any of the links listed except for that of the United States Power Squadrons and District 4. These links will open in a separate window. In order to return to this site close the new window or click on the second navigation window in the system tray. we retain the right to remove any link at our sole discretion. We do our best to keep all links current but some links may be inoperative. If you find a dead link please email the webmaster so an update or deletion can be made. If you have any links that are of a nautical nature or may be of interest to our members please submit them to the webmaster. United States Power Squadron Organized in 1914, USPS is a non profit, educational organization dedicated to making boating safer and more enjoyable by teaching classes in seamanship, navigation and related subjects. National information for first timers, Orientation package, numerous forms. All the latest events in USPS. A web news blog. The Home Page for the District that our squadron belongs to. The link was established as a USPS emergency communication system (Storm Central) and is designed to function like a bulletin board for posting messages about "where you are" in the event of evacuation (or related contact information), information from members who are offering to volunteer their house as an evacuation safe haven, messages from members who are in need of a place to stay and have pets, or just assistance and help, etc. The Home Page of the Canadian equivalent of the United States Power Squadrons. A one stop site for government recalls. This includes boats. This is the Coast Guard web home page. The Coast Guard Auxiliary is the civilian volunteer arm of the United States Coast Guard - 35,000 men and women who donate their time and expertise to support the Coast Guard and improve boating safety. The U.S. Coast Guard Navigation Center (NAVCEN) provides quality navigation services that promote safe transportation, support the commerce of the United States. Raritan Bay is in the 4th and 5th CG District. This site permits you to enter a documentation number and search for ownership and liens. NJ Marine resource website. Great for NJ boaters. Private site nothing known about the site. Tide predictions for Raritan Bay, the East and Hudson Rivers. Privately written and maintained see disclaimer. The Office of Coast Survey (OCS) produces nautical charts for United States waters, including its possessions and territories. The Office of Coast Survey (OCS) produces nautical charts for United States waters, including its possessions and territories. This also includes updates. You must agree to disclaimer to use the site. Charts in booklet form from NOAA. View NOAA chart online by chart number. Extensive maps and satellite photos plus other information for boaters. Good planning tool. Non Government but interesting site. A great website of knots. Dynamic tying of knots. Charles Zusman writes on boating subjects. May be of interest to boater. The largest nonprofit nongovernmental space advocacy group on Earth. The NADA Boat Guide provides used values for boats, personal watercrafts, outboard motors, and boat trailers. In addition to specifications, it provides two retail consumer values - low retail value (for boats that show excessive wear and tear) and average retail value (for boats in good condition, moderate wear and tear, with no visible damage or defects, and in sound running condition). 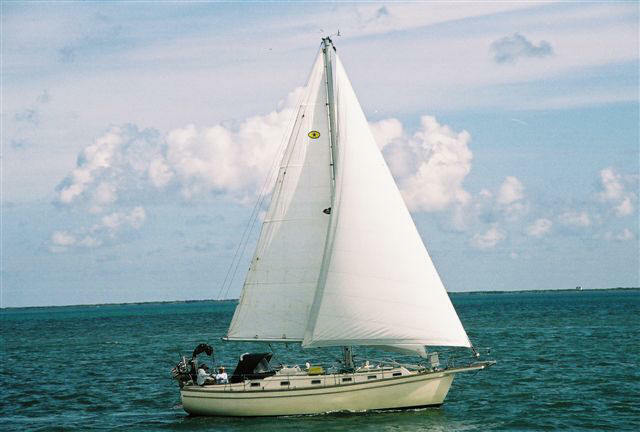 If you find a boat you are interested in, you will want to obtain a boat history report (one partner of NADA that provides this service can be found at http://www.boathistoryreport.com/) and have a structural inspection completed to ensure that you determine if the boat has sustained damage due to a hurricane, flood, or accident. Commercial sites for boating equipment, parts etc.